Changes to IT systems are inevitable in business whether to adopt improved technologies or simply relocate premises. ITI offer contracted clients all the expertise to ensure changes to your IT are properly sourced, resourced and integrated. By consistently reviewing our supplier agreements and approved product lines, we are able to offer and recommend leading edge products at competitive prices. Customisation of software to match unique requirements is readily achieved through collaboration with suppliers. 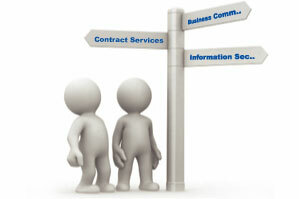 Furthermore, we can manage third party suppliers on our clients’ behalf. Clients find our resources and market knowledge on areas such as acquiring data centre space or equipment consolidation surpass what our competitors can provide. We make certain the most appropriate solution is deployed for your changing circumstances. Once implemented, we advise and train you on the use of new technologies and software applications such as CRM, Accounting and Document Management solutions. Our technical consulting services include Project Advice, Project Management, Collaboration, Training, Application Development, Application Installation and Office Move services.